In his new memoir, Barbarian Days: A Surfing Life, award-winning journalist William Finnegan explains the origins of his lifelong obsession with surfing, and how his passion for the waves has influenced his life, his work, and more. Here, he shares his picks for the best places to watch surfing--an activity that's notoriously unaccommodating for spectators. Surfing is not a spectator sport. The ocean is endlessly fickle. Even days of great waves have long stretches when nothing happens. 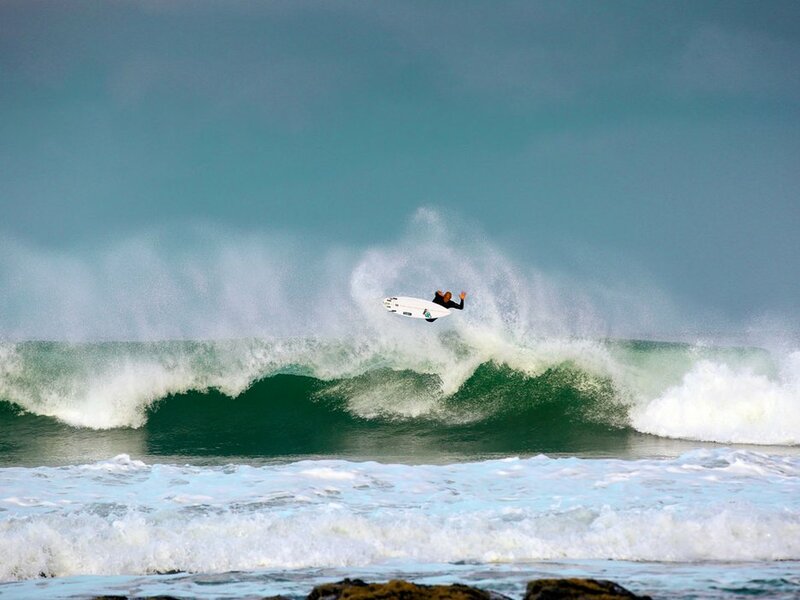 What's more, the best surf spots are often impossible to see from shore. The gorgeous pictures and video that you see around belie the difficulty of actually seeing anything comparable in person. Still, there are exceptions--places where it is possible to see mind-blowing surfing. You need to go in the right season, on the right day, and, even then, get a bit lucky. 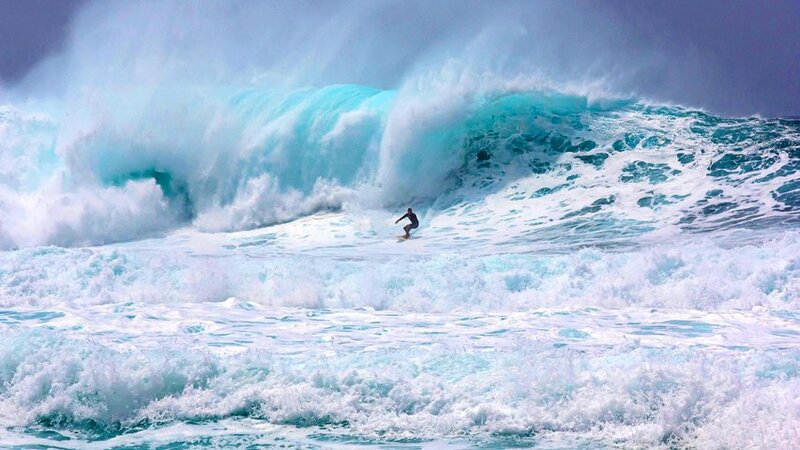 This famous wave breaks shockingly close to the narrow beach--be sure to stay away from the shore break. On a good day it's utterly spectacular. The best time and conditions to go: November to March; big north or northwest swell; light trade winds or no wind. How to get there: Park at Ehukai Beach Park, seven miles northeast of Haleiwa. When the swell's too big for Pipeline, Waimea is the place to be. The bay is the original big-wave coliseum. The best time and conditions to go: November to March; huge north or northwest swell; light trades or no wind. How to get there: It's four miles northeast of Haleiwa. The best vantage point is on the rocks toward the point on the north side of the bay. From the bluff on the north side of the bay, you can watch the whole ride. It's a wailing right-hander (from the surfer's perspective the wave breaks left to right) and no two rides are ever the same. 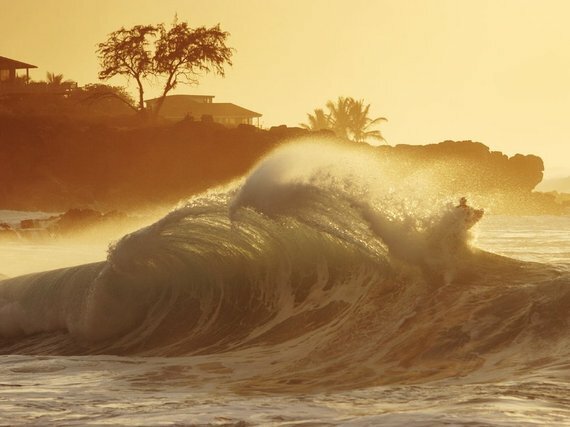 It's one of the most beautiful waves on Earth. The best time and conditions to go: November to March; big north swell; light trades or no wind. How to get there: It's 12 miles north of Lahaina. Park in the cane fields above the cliff on the north side of the bay; you'll see the cars. A boat is needed, but choose your boat driver carefully--you will be very, very close to what is widely considered the most dangerous wave in the world. When it's over 12 feet high, surfers will be using Jet Ski assists to catch waves. However, that's still no guarantee against complete obliteration. The best time and conditions to go: April to October; big south or southwest swell; northeast wind or no wind. How to get there: About 45 miles southwest from Pape'ete, this swell is only viewable from the ocean so arranging a boat is required. This wave breaks along an offshore reef one mile south of the island of Tavarua and about three miles west of Viti Levu, the main island of Fiji. 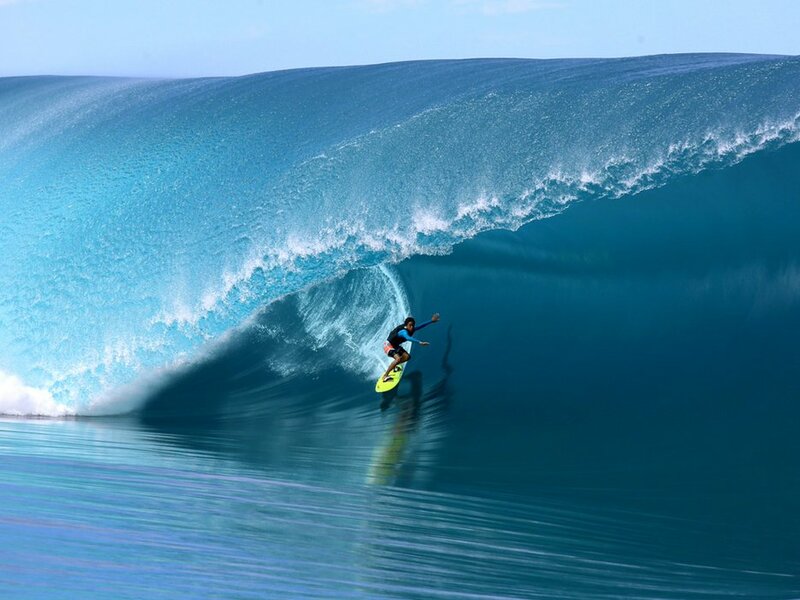 It's less dangerous than Teahupo'o, but the surf still gets huge. Remember to pick a boat with a canopy (but still use sunscreen). The best time and conditions to go: April to October; big south or southwest swell; light trades or no wind. How to get there: It's not far from the international airport at Nadi. Boats are available from nearby resorts, including Tavarua, Namotu, and waterfront hotels in Nadi. This extremely long right-hander is a high-performance wave and is considered the "world's best point break" (a wave that breaks around a point of land or rocks that projects from the coastline). There are several distinct spots; the best is Super Tubes. A laid-back resort town has grown up around the wave. This is the real-life version of the "perfect wave" purportedly found nearby and documented in the classic surfing documentary The Endless Summer. The best time and conditions to go: April to October; big south or southwest swell; southwest or no wind. How to get there: This is 45 miles west of Port Elizabeth. Watch it from the beach or aloe-covered dunes--both are easily accessible.